A story in every picture. Well prepared and organised, ready for the perfect shot. Postprocessing it to make it look like you dream it to be. Conceptual portraits under water. Mystic, fun and original. Both in and out of the water, the perfect match between light and sea. Original, professional and finished the way you want. 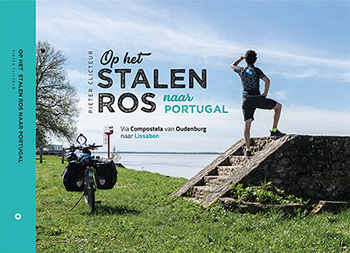 A book about my bike trip to Portugal. 348 pages of adventures in images and words. ... Because every heart needs a soul... 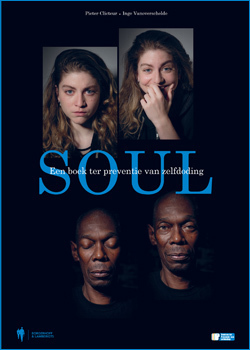 Soul is a book to prevent suicide. 40 portraits in 2 emotions. 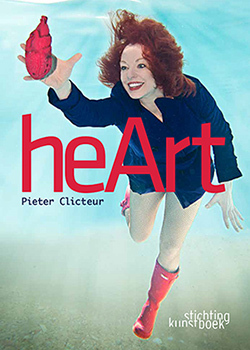 A book full of portraits of famous Belgian people, to support organ donation. Conceptual Portraits A story in every picture. Well prepared and organised, ready for the perfect shot. Postprocessing it to make it look like you dream it to be. Underwater Portraits Conceptual portraits under water. Mystic, fun and original. Seascapes Both in and out of the water, the perfect match between light and sea. Original, professional and finished the way you want. Industry and Architecture Industrial photography, combined with fine architecture. Highlighting the beauty and greatness of what we can create. From April till May 2018 I cycled from my hometown in Belgium to the Portugese capital Lisbon. Loaded with a firm bike and my camera, I drove 2800 km in 5 weeks time. I cycled via Santiago de Compostela and documented my experience in images and words. A book filled with my adventures. Stories about the trip, encounters along the way and of course a lot of photos. 348 pages of blood, sweat and tears but even more fun and joy! Soul is a book to prevent suicide. 40 portraits in 2 emotions, once in a positive emotion, once in a negative emotion. The two pictures are taken at the same time so the person shows his two faces, sort of speak. Over a thousand suicides per year in Flanders, that's about three per day ... 1 in 4 people will sooner or later deal with less or more serious psychological problems. Over the period of a year, approximately 700 000 people suffer from a mental health problem. This is almost the equivalent to the total population of Antwerp and Ghent together ... The numbers are hard. Through this project we hope to make people aware of the issues surrounding suicide and mental health problems. It is a unique way to put the spotlight on the Suicide Line. Through testimonies, combined with pictures, we want to make people aware of the need for communication, even within the professional services. Moreover, it is an attempt to make people aware of the opportunities we do to prevent suicide. heArt is a surprising book that focuses on a specific theme: organ donation. For many people, transplantation is the last chance to survive. Unfortunately, the demand for organs currently still exceeds the supply. heArt wants to draw attention to this problem in an artistic and playful way. Because donating an organ can save lives. 61 well-known Belgian people have enthusiastically participated in this book. In their own particular style, everyone posed with a symbolic artificial heart. A beautiful piece of art and an extraordinary concept: Never before have so many media-people been portrayed underwater. Expositions Upcoming, ongoing and past expositions with my work. Training To constantly train myself in the various branches of photography, I took several courses, workshops and trainings.